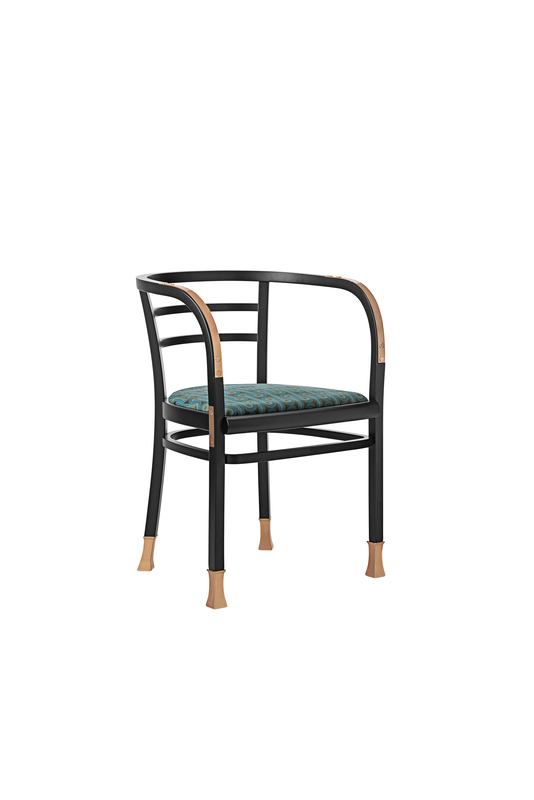 Gebrüder Thonet Vienna GmbH celebrates 100 years from Otto Wagner’ s passing (11th of April, 1918), reinterpreting the POSTSPARKASSE armchair he designed in 1906 for the namesake headquarters of the Post Office Savings Bank in Vienna. 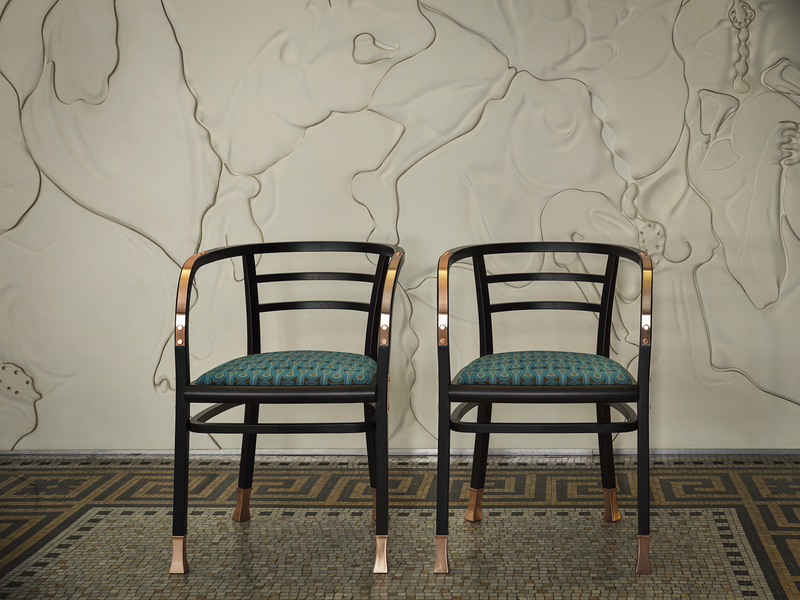 Combining minimalism, exclusivity and eye for detail, POSTSPARKASSE represents a clear expression of modern Viennese art, introducing for the first time the use of wood with a square cross-section – instead of a round one -, which defines its rigorous profile. 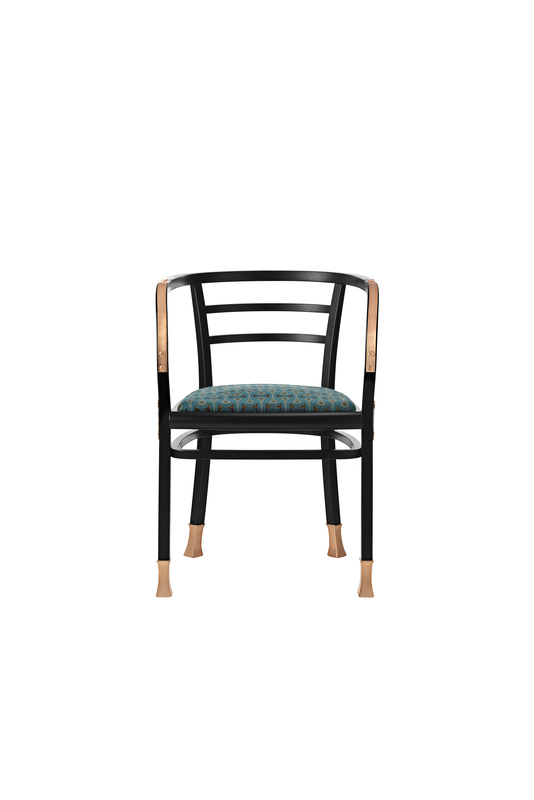 The Special Edition is characterised by the details in copper which personalize the embracing and ergonomic structure in solid bent beech wood and by the upholstery from the Maharam collection defined by a peculiar decoration by Josef Hoffman, Otto Wagner’ s scholar, among the Viennese Secession founders.